Dinner Groups is a small group ministry that has been in existence for over ten years. Participants are placed in groups of six to eight people, and those groups meet for dinner at homes or in restaurants. 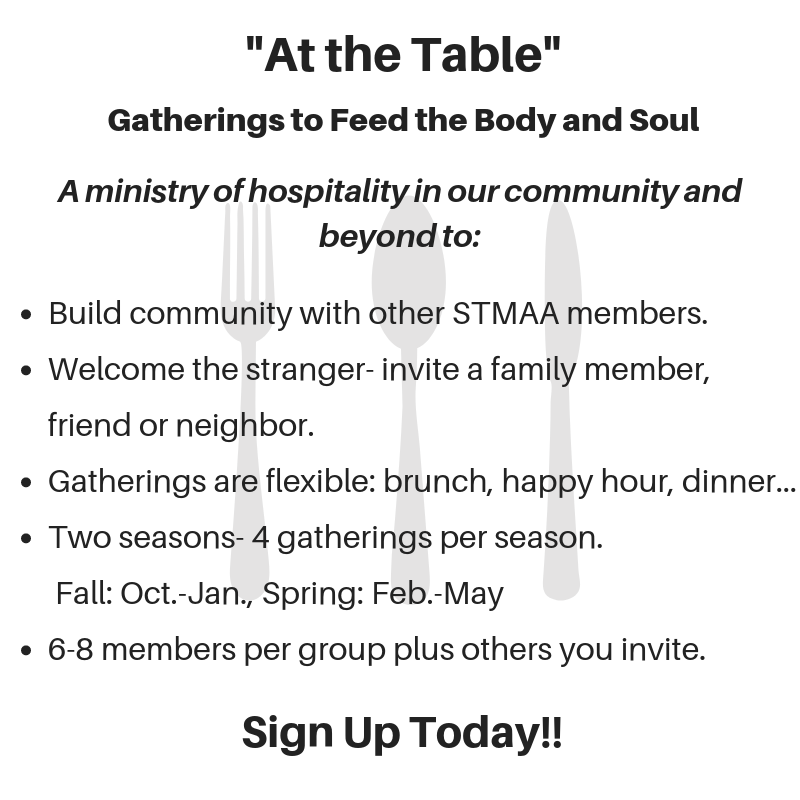 Dinner groups include adult parishioners of all ages who might never have met or become acquainted without this ministry. The groups are changed in the fall and spring to give everyone a chance to meet other parishioners. New members are always welcome.